AFTER treading on the same path for most of their amateur careers, former Cesafi standouts Roger Pogoy and Al Francis Tamsi now look to blaze their own trail after the two got drafted to Talk N Text and GlobalPort, respectively, during the PBA Draft on Sunday. Although the aforementioned young men come from different locales—Pogoy a proud product of Talisay City and Tamsi, from Tagbilaran City—their paths have intertwined one too many times. 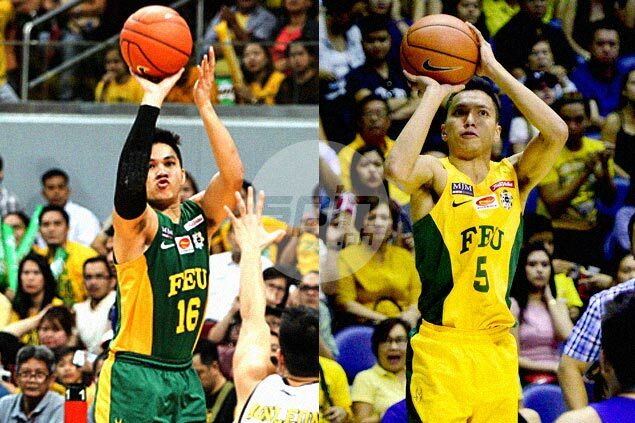 They both came from the University of Cebu, before moving on to win a UAAP title with the Far Eastern University Tamaraws and also a D-League crown with Phoenix Petroleum. However, fate dealt them different hands as Pogoy was selected by the KaTropa during the special Gilas draft while Tamsi was picked during the third round of the regular draft. For Pogoy, the draft was a culmination of a dream that started on the ragtag courts of his hometown. “It just sunk in, that I was actually picked in the PBA draft. I’m very happy because this wasn’t just my dream but my father’s as well,” shared Pogoy to SPIN.ph in an exclusive interview the morning after the draft. “My father has been such a huge influence in my basketball career. He really helped me focus on the sport back when I was still young and even when I got to college. He went here to accompany me and I have always heeded his advice,” the former UC Baby Webmaster said. Tamsi, on the other hand, admitted feeling nervous as the first and second round passed without hearing his name being called. “I never expected to be picked by GlobalPort since they already have a lot of guards. I was feeling nervous because I thought nobody would pick me already,” said Tamsi, who briefly played for the Webmasters before making his way to the Tamaraws camp. Since Talk N Text boasts of a stable of proven stars, the 6-foot-3 Pogoy said that he will bide his time and soak in all the knowledge he can from head coach Nash Racela, who he is close to from his time with FEU, and the team’s cast of veterans led by Jayson Castro and Ranidel de Ocampo. “I’m not going to expect a lot of playing time. If I get fielded in, they can expect to get my very best. For now, I’m just going to learn from the team’s veterans,” Pogoy said while adding that he was looking forward to matching up one day with his childhood idols, Cebuano Dondon Hontiveros of the Alaska Aces and Rain or Shine’s James Yap. But for Tamsi, who isn’t guaranteed of a roster spot, he said that he will do everything he can to prove himself worthy of one. “I’ll be in the best condition of my life since a huge challenge lies before me. They have a lot of great guards there so I will just have to prove myself in practice,” said the 6-foot-1 guard who has made a name for himself in the amateurs for his shooting.